Sphere trigger of the specified radius. Capsule trigger of the specified radius and height. Cylinder trigger of the specified radius and height. Box trigger of the specified size along the axes. To be detected by the trigger a physical object must have both a physical body (with the physical mask that matches the physical mask of the trigger) and a shape (with the collision mask that matches the collision mask of the trigger). 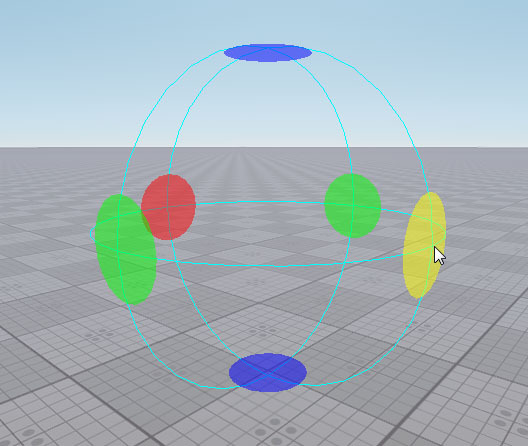 Physical objects participating in the contact with the physical trigger can be obtained via C++, C# or UnigineScript API. The shape of such object can also be obtained. Moreover, you can get the depth of the object penetration, coordinates of the contact point and its normal. A PhysicalTrigger class to manage physical trigger nodes via C++, C# or UnigineScript API. 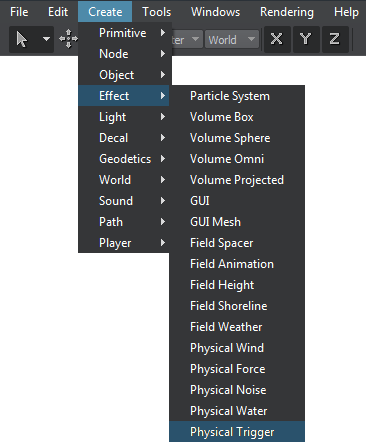 On the Menu bar, click Create -> Effect -> Physical Trigger. 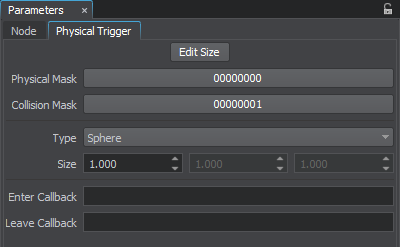 The new physical trigger node will be added to UnigineEditor and you will be able to edit it via the Parameters window. 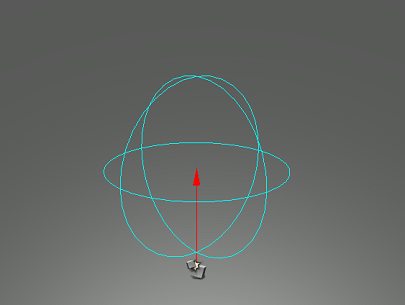 By default, the sphere trigger with 1 -unit radius is created. Physical mask. The physical mask of the physical trigger must match the physical mask of the physical object. Otherwise, the physical trigger won't fire callbacks when the object enters or leaves it. Type of the physical trigger: sphere, capsule, cylinder or box. Radius, in case of a sphere. Radius and height, in case of a capsule or a cylinder. Dimensions, in case of a box.